Legendary Motown group the Four Tops will be joined by 70s soul legends Tavares at an Echo Arena date, as Getintothis’ Shaun Ponsonby gives us a history lesson. It seems Liverpool has become the go-to place for Motown legends. After Martha Reeves & The Vandellas blew the roof off the Arts Club over the summer, and the label’s most successful songwriter/producer Lamont Dozier was in conversation at LIMF (and with us at GITHQ), we now have the label’s two greatest male groups in town for a double header. The hits that The Four Tops and The Temptations have racked up between them is astonishing. Pretty much anyone can throw their respective Greatest Hits on and realise that they know every single song. Let’s start with The Temptations. Of all the Motown groups, they probably went on the most interesting journey. Starting out with the likes of My Girl, The Way You Do The Things You Do, Ain’t Too Proud To Beg and Get Ready, they were probably the label’s second biggest act, after Diana Ross & The Supremes. What set The Temptations apart was their sheer slickness. No-one moved with the kind of precision of The Tempts. There was never a singular lead vocalist. Although everybody played their part, the stand outs were Eddie Kendricks (the greatest falsetto of all time), Melvin Franklin (the greatest bass vocal of all time) and the power of David Ruffin. Ruffin was fired from the band in 1968, and was swiftly replaced by Dennis Edwards, a man whose voice was just as powerful. This change in line-up signalled a change in style, adopting an almost Sly Stone slice of psychedelic soul which won Motown its first Grammy for Cloud Nine. Check out our round-up of Liverpool’s first ever soul festival! 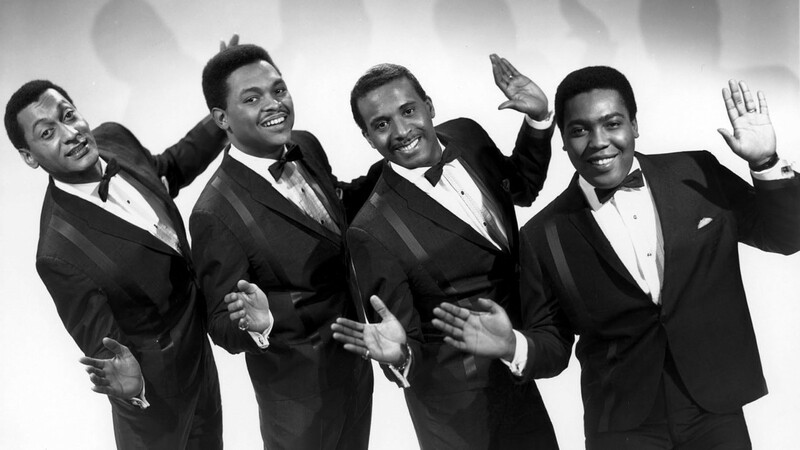 The Four Tops, on the other hand, were the rebels at Motown. Unwilling to commit to the company’s strict policies of dance lessons and finishing school. They basically just did what they wanted on stage, much looser than The Tempts. Their hits are just as memorable as their co-headliners’; I Can’t Help Myself, Same Old Song, Bernadette, Reach Out I’ll Be There, Walk Away Renee…the list goes on. Naturally, in careers as lengthy as these, the two groups have had many line-up changes. Some of their finest singers, Eddie Kendricks, David Ruffin, Melvin Franklin and The Four Tops’ incredible Levi Stubbs are no longer with us. However, the groups remain seasoned professionals. Smokey Robinson once said that the training artists’ received at Motown was such that no matter when you see a Motown act, you will have a good time, that continues to this day. As if these two legendary groups performing together wasn’t enough, ‘70s soul legends Tavares will be opening the show with the likes of Heaven Must Be Missing An Angel, More Than a Woman and Don’t Take Away The Music, meaning that if vintage soul is your thing it will be an all-night party.